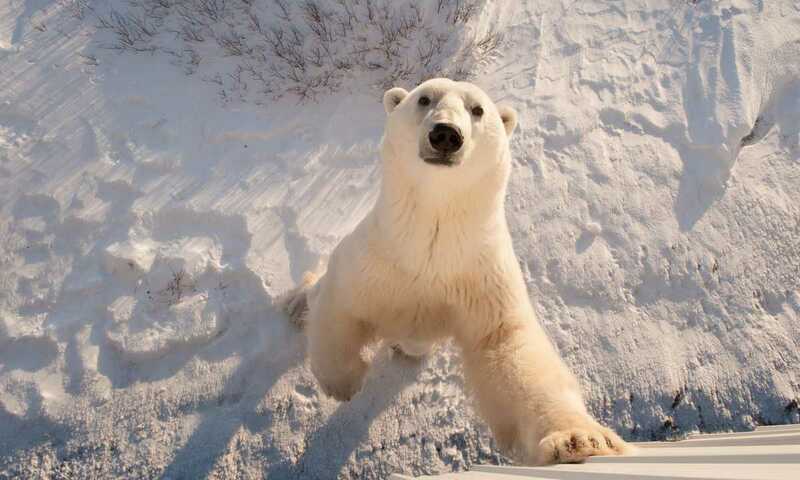 Encounter the King of The Arctic up close, with exceptionally high chances of successful sightings. Spend 2 full days polar bear viewing at the time when they’re waiting for Hudson Bay to ice over & congregating in significant numbers. A small group of maximum 16 people further enhances this incredible experience. The Churchill polar bear tour begins in Winnipeg. Once a fur-trading post and boomtown for the Canadian Pacific Railway, today Manitoba's capital is its cultural and commercial centre at the eastern edge of Canada's vast prairies. Transfer to the historic Fort Garry Hotel, grande dame of Winnipeg hospitality and one of the city's most prestigious landmarks. Meet your Expedition Leader at a welcome dinner and orientation this evening. Fly by chartered plane to Churchill this morning. This hospitable frontier town, originally a Hudson Bay Company fur-trading post, is your base for adventure. 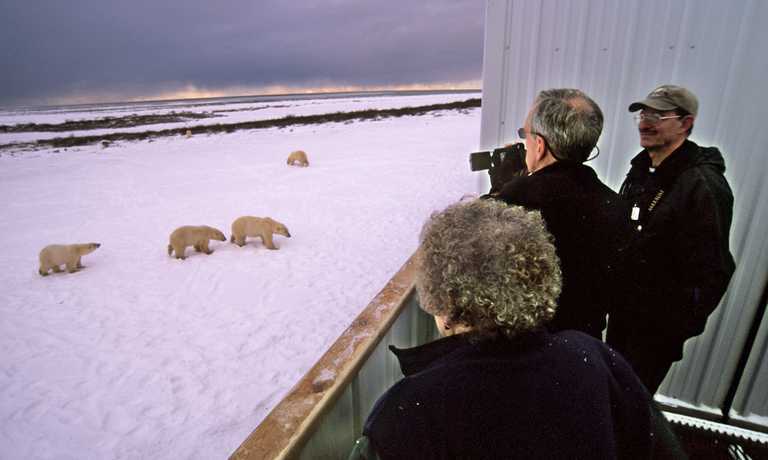 On the 6-day trip you head to the tundra this evening for your first glimpse of the bears, though you may see them from the bus as you leave the airport, even before boarding the Polar Rover. The 7-day trip opens with an evening presentation on polar bears and the northern environs by the professional staff of naturalists and scientists. Uniquely designed Polar Rovers are your mobile means for spending time among the bears. Though they are built to accommodate up to 35 passengers, there will be a maximum of just 16, ensuring everyone a window seat. 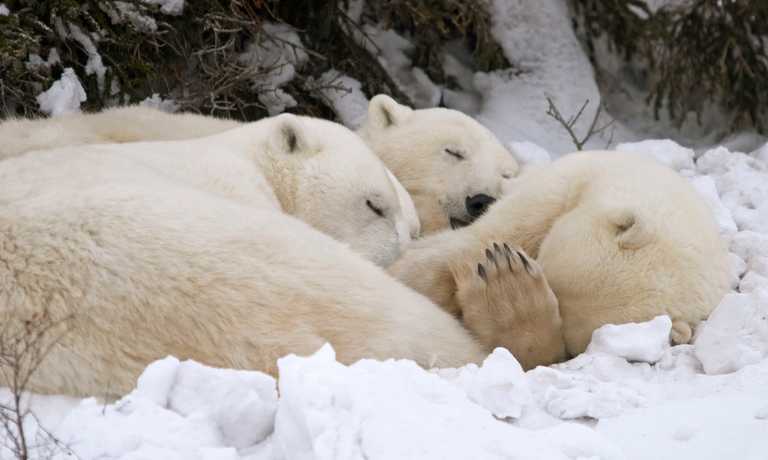 The Expedition Leaders know the best places to observe polar bears, which congregate in the region each fall as they wait for Hudson Bay to freeze, signalling the start of the winter seal-hunting season. As you watch them interact, you'll be delighted by their antics and rugged beauty. 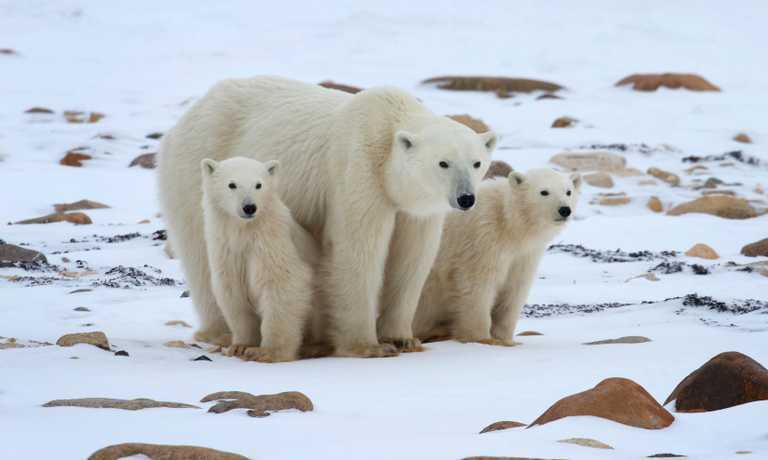 From the warmth of the vehicle, you may see mothers with cubs, young males play-fighting, or a lone bear ambling over the tundra in solitary majesty. The knowledgeable Expedition Leader offers interpretation along the way, explaining the bears' behaviour and how they thrive in such a harsh environment. In the evenings, you'll meet for dinner and presentations on wildlife or local culture. On the 7-day trip you tour historic Churchill, then head out to the tundra for evening bear viewing and dinner aboard the vehicle. During the day you may explore the coast road en route to Cape Merry, where Arctic fox and Arctic hare are often seen. If the skies are clear, the nighttime tundra excursion might reveal one of nature's most exhilarating experiences, a chance to view the Northern Lights away from the glare of town. Though they are never predictable or promised, the auroral display often starts as a white glow in the northern sky, then begins to flicker and dance in shimmering curtains of colour. On the 6-day trip (your nighttime tundra journey takes place on Day 2), there's free time in Churchill or an opportunity for an optional helicopter excursion over the vast expanse of frozen tundra before boarding your flight back to Winnipeg. Great trip, but limited outdoor or walking activities on some days but for obvious reasons. I would recommend this trip to anyone who wanted to see polar bears, great guides, nice food and be safety conscious at all times. Beyond my expectations, and I would recommend unreservedly.